Info herein deemed reliable but not guaranteed. Thank you for visiting today. If this is your first visit, please take your time and look around. We have plenty of information and resources available. If you are a return visitor, thank you. We would love to hear from you and tell you how we can serve all your real estate needs. 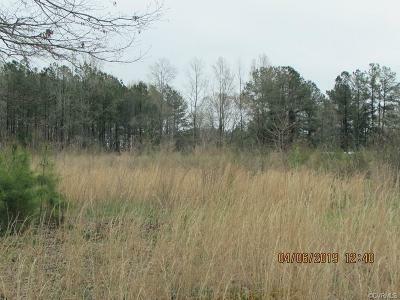 Property is fronted on 460, with 6.004 acres, electric on site, 1 well and 2 septic on site. Seller will not turn electric on or make any repairs to the property. Buyer is responsible for any lender required repairs. All properties sold AS- IS. No one may alter or occupy property until after closing & funding. Buyer is responsible for the costs of any de-winterization, as well as the cost to re-winterize following inspections to ensure proper maintenance of the property. Buyer is responsible for all inspection at there expense and for buyer use only. Directions: From Blackstone Take 460 East To Property On Right Look For Sign.